Can Legal Steroids Work for Bodybuilding? I have recently received many questions and comments about legal steroids, Crazy Bulk in particular. There have been mixed feelings about them and many questions about their legitimacy. I wanted to take the time and explain what you should know about Crazy bulk legal steroids and more importantly if they can actually work for bodybuilding. Without a doubt there many young men and women who would like to improve their training efforts, and sometimes they don't know what to use or what to take. Crazy Bulk has been around for many years so there has been a lot of time to have their products evaluated by customers. The feelings are mixed on their effectiveness. This should come as no surprise, what works well for one person may not work so well for another. I personally believe that this supplement company has done things right. So let's take a look and see if, in fact, Crazy Bulk legal steroids can work for bodybuilding. If you are not sure what these products are, keep on reading and I will tell everything about them. Crazy Bulk has been all the rage for a while now. They are called legal steroids because they mimic the effect of anabolic steroids, the difference is they contain natural ingredients. They are not harmful and the results they deliver are very good. The above are some of the important things a lot of men and women are looking for, that is if they want to progress and make gains in the gym. 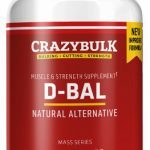 Let's start off with the bad stuff first, I have seen negative reviews about Crazy Bulk legal steroids, the product that has received most of the bad reviews is D-Bal. There is a good reason behind this. When Crazy bulk originally began selling their products they focused more on the stacks than they did on individual products. At first, the company did not intend on selling the products individually because they knew you would get the best results by combining three or four products together (stacking them). When you stack their legal steroids together the results are amazing, the other thing many of the negative reviewers fail to mention is that D-Bal used to contain DHEA a prohormone that is now illegal in most countries. In order to make their products available worldwide, they had to eliminate the DHEA from D-Bal. This made D-Bal less effective, however, this is the only product that suffered from an ingredient change. The rest of the Crazy Bulk products have remained the same. 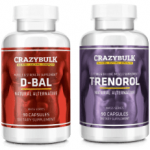 So how effective are Crazy Bulk legal steroids? For starters, I bet you didn't know that there are recognized athletes and bodybuilders that use Crazy Bulk legal steroids. Well, there are, and they proudly admit it. Let's take a look at who they are and why they use them. 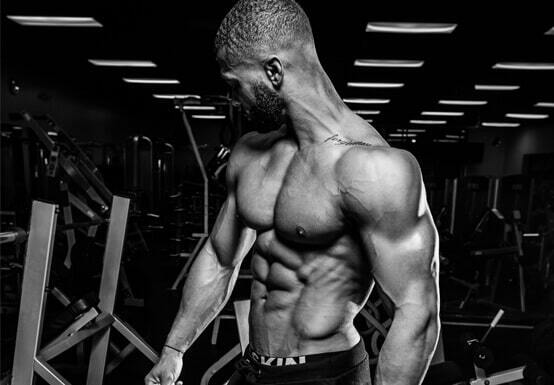 Cristopher Tripp is not only a personal trainer he is a competitive bodybuilder from Cleveland Ohio. He has competed in the Arnold Classic amateur North American championship, he won 1st in the NPC Natural Northern USA Championship and won 1st in North East Ohio natural bodybuilding championships. Cristopher is not Ronnie Coleman massive, and that's because he is natty, you have to admit that he has an awesome physique, he's ripped, shredded, and vascular. Who would not die for a body like his? Yes, he does focus on diet and training, however, using Crazy Bulk legal steroids have helped him refine his physique and win competitions. Ramsford (or Randy) Smith is a pro bodybuilder and personal trainer who has been competing for almost 30 years and has won several titles. 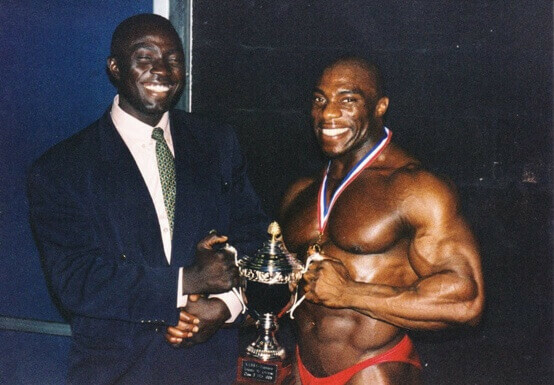 Randy Smith won 1st at the Mr. Britain championship in 1986 he has competed and placed in several Mr. Universe championships. Although he took a long break from the sport, he began competing again in 2016 where he took 5th in the Mr. Britan. “Not a bad first comeback for an older guy”. Randy Smith is now an official spokesperson for Crazy Bulk legal steroids, why? Because they have helped him get back into the shape of his life and best of all he is also natty. 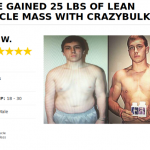 So, I guess this answers the question about Crazy Bulk bodybuilding supplements working, right? Ok, I understand, let's put things in perspective, some of you may not want to train with the same intensity of a pro bodybuilder, but If you do, you will make better gains. 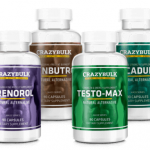 But what about the average man or woman who goes to the gym, can Crazy Bulk help you? 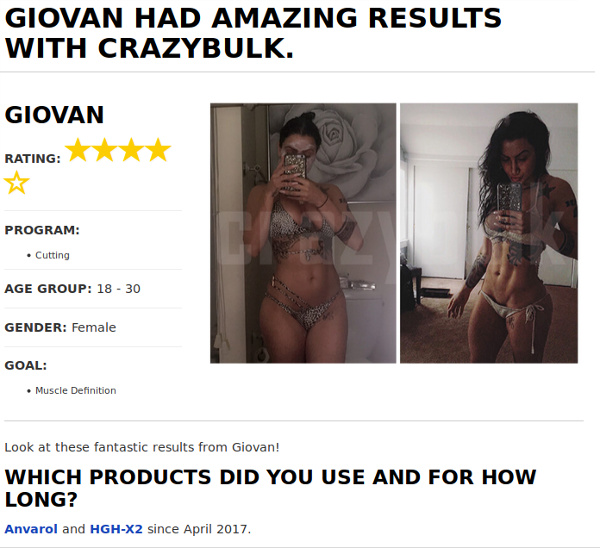 Crazy bulk can help anyone of any fitness level improve their training, you just need to put in some effort, eat good food and train 3-4 times a week. 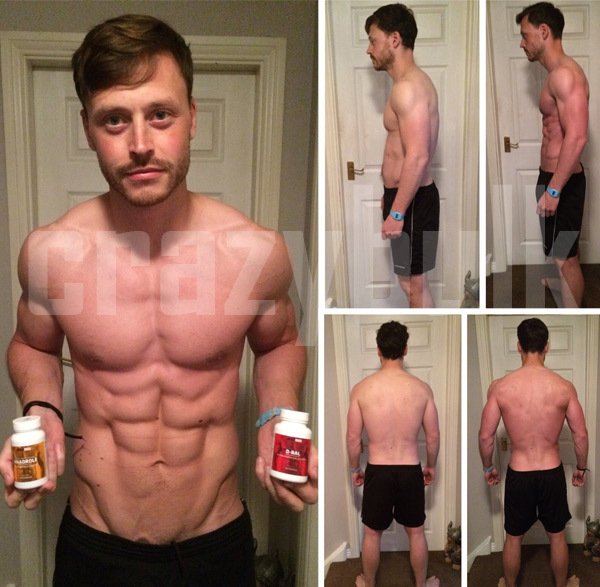 If you don't believe the average person can benefit from taking Crazy Bulk legal steroids we have proof. This guys name is John. John took the cutting stack for 8 weeks (2-month cycle) you can't tell me this guy is not shredded. And yes, John is just your average guy that loves working out. John later followed up with Anadrol and D-Bal. If that does not convince you, check out Jules, another average dude who got rid of a bunch of body fat and got jacked and ripped. Jules took D-Bal for 12 weeks and had amazing results! If that's still not enough proof, let's take a look at one of the women's profiles, they are just as amazing. Giovan took Anvarol and HGH and look what happened! Giovan went from 26% to 23% body fat. She also leaned out and went from 20.1 to 21.6 body mass. So, now you have real proof from both pros and amateurs, Crazy Bulk legal steroids can work for bodybuilding and any other sport for that matter. Besides being effective supplements to help you make REAL gains, the company just recently won an award for their top-notch customer support and fast delivery times. So now you have a difficult choice, you can move on, or you can get your hands on your own Crazy Bulk stack. That is of course if you want to get jacked. Crazy Bulk legal steroids are not sold in stores, you can only buy them from the official online store, once again I believe you will be happy with the fast service they offer. I will also mention that the company offers free worldwide shipping which is a saving in itself. 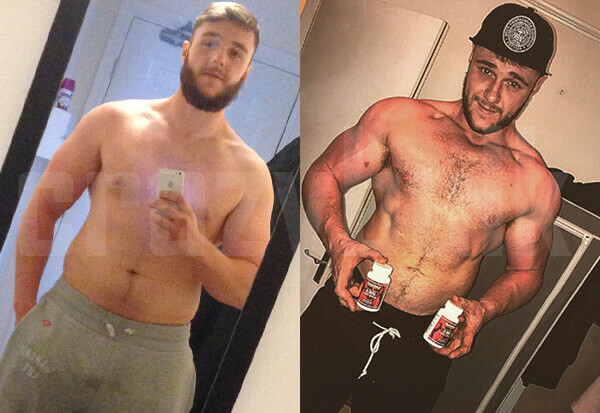 So, I hope I have covered everything you need to know about the benefits these supplements have to offer now it's up to you to see if you are willing to take the next step to help transform your physique.